‘The Runaway Club’ – Picture taken on set in Newcastle on the day of filming. 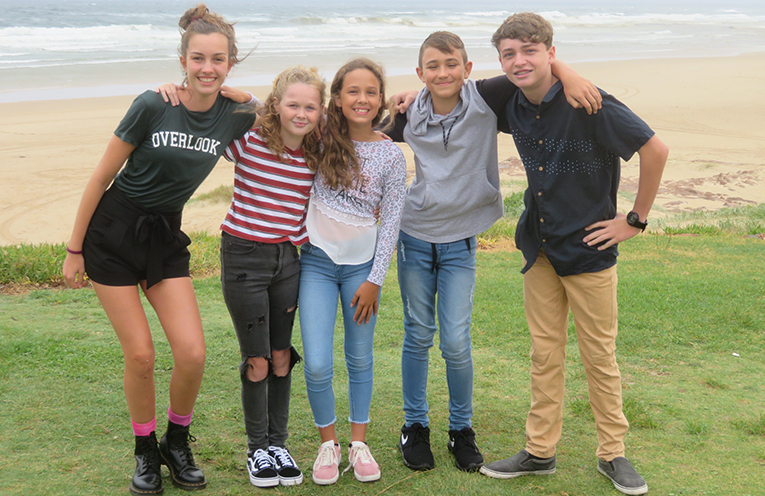 A GROUP of young Port Stephens’ locals will soon be appearing on the big screen along with other finalists at this years Tropfest. ‘The Runaway Club’ was created by a group of young artists all under the age of 15. 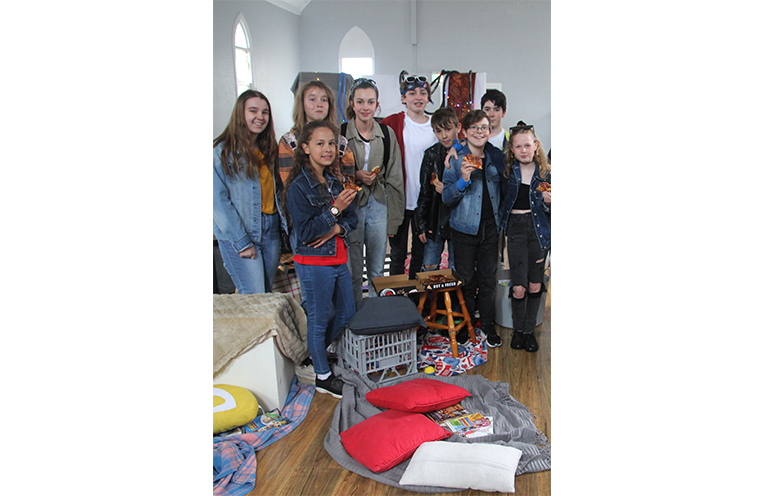 James Bowen, Isaac Brown, Eliza Davis, Kyla Goodwin, Sophie Rose and Angelique Whatham were a part of the group who came together in the last October school holidays. Their aim was to produce a film, working together to form characters, shape a story and create a compelling short story about family, friendship and loss. The film was shot all within the one day, with the kids bringing all their props, set pieces and costumes to create the scenes. The films could be about anything but had to include the chosen theme, which this year was Pizza for the Junior Tropfest entrants. Now in its twenty seventh year, Tropfest celebrates independent local and global filmmakers featuring a program for young participants & a closing screening of 16 finalist films. Tropfest will be showing in Parramatta Park on Saturday 9 February with the Junior finalists shown first from about 4.30pm.